Panelize a round PCB with mouse bites. 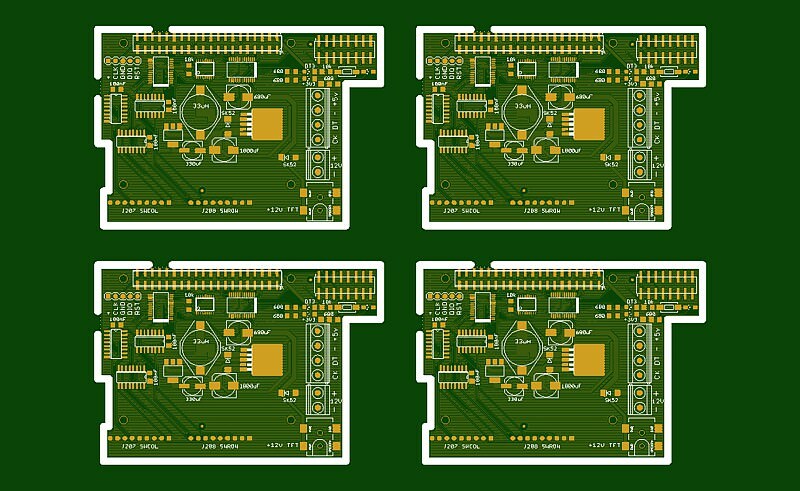 I need to panelize round PCBs, not that I have done a panel for rectangular PCB before, but the round ones have seemed more complex and I started with them. I have not found any detailed information on how to do it, and I have decided to try it myself. I do not know if there is a simpler and faster way to do it. The idea is to use mouse-bites to create a panel, in this case 2x1, of round PCBs with a diameter of 70mm. 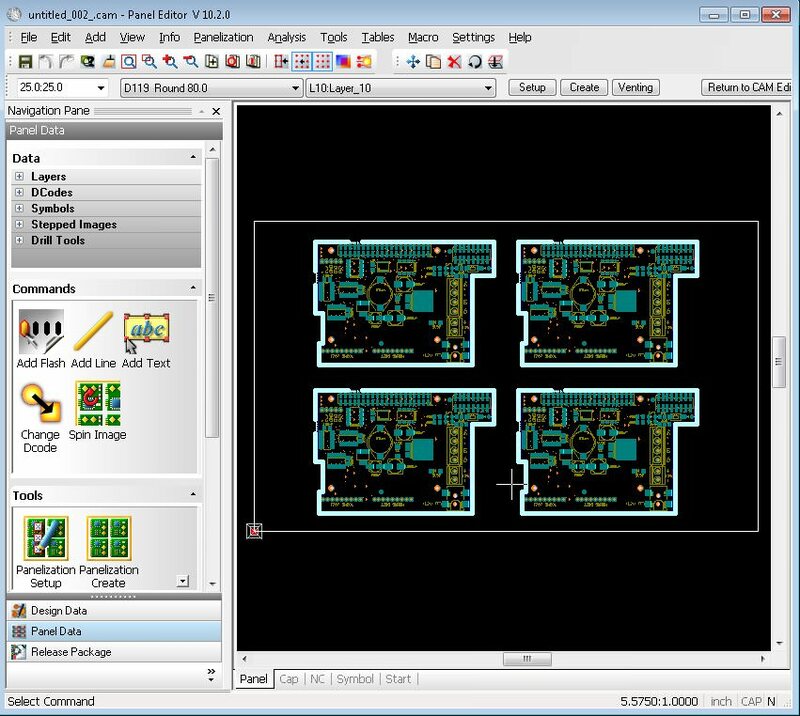 I want to do it myself and give the manufacturer the Gerber already panelized, because I also need the Stencil and that each time I send to manufacture, the panels are identical, to be able to use the same stencil, and also because I am going to assemble with my own Pick and Place Neoden4. So I prefer not to leave the panelized in the hands of the manufacturer. These are the steps I have taken, if someone knows another better way to do it, I would appreciate it if you comment. 1.- I make a square of 70 mm on the side and another exterior of 72 mm. This will create the 2mm groove that will separate the PCB from the panel, secured with 4 tabs made with mouse bites. 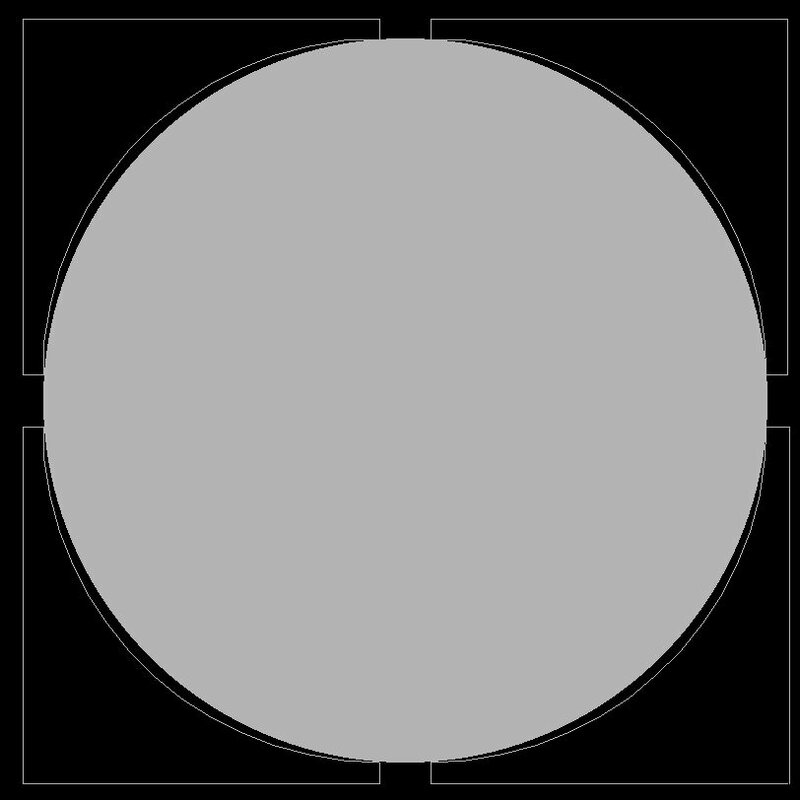 3.- Insert a 70mm diameter circle in the center. This is only for reference so that when I apply the MITER to round the corners of the square, I can check that the board is really round, in the end I will eliminate that circle. 4.- Now I apply a MITER to each of the four corners of the inner square, which will be the round 70mm diameter PCB. 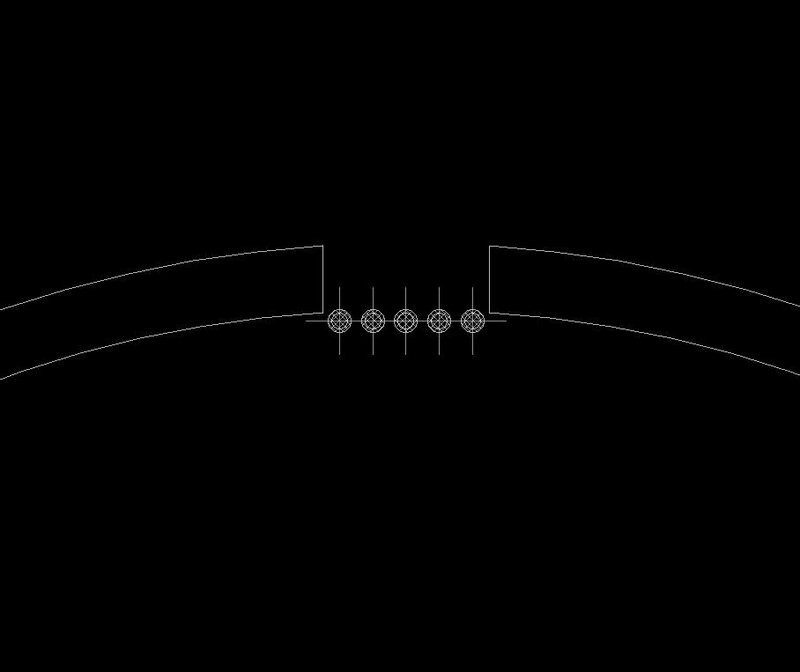 However much I try different values of the MITER, as you can see in the image, the arcs never fit perfectly into the circle of reference. 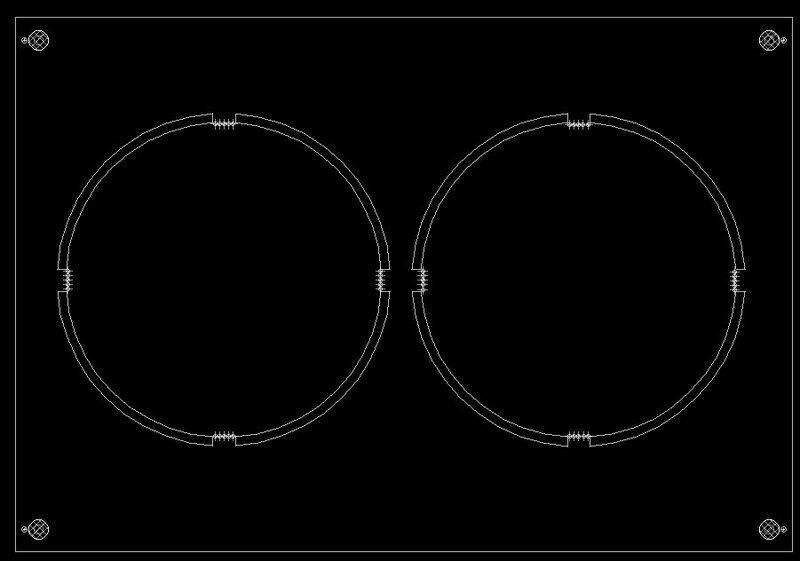 6.- If I change the curvature to 83 degrees, then the arc does fit perfectly to the reference circle, to be able to leave the PCB perfectly round. 7.- With the outer square, I do the same, apply the MITER and correct the angle of 90 degrees to 83 degrees, so that it is concentric with the internal circumference of 70mm. 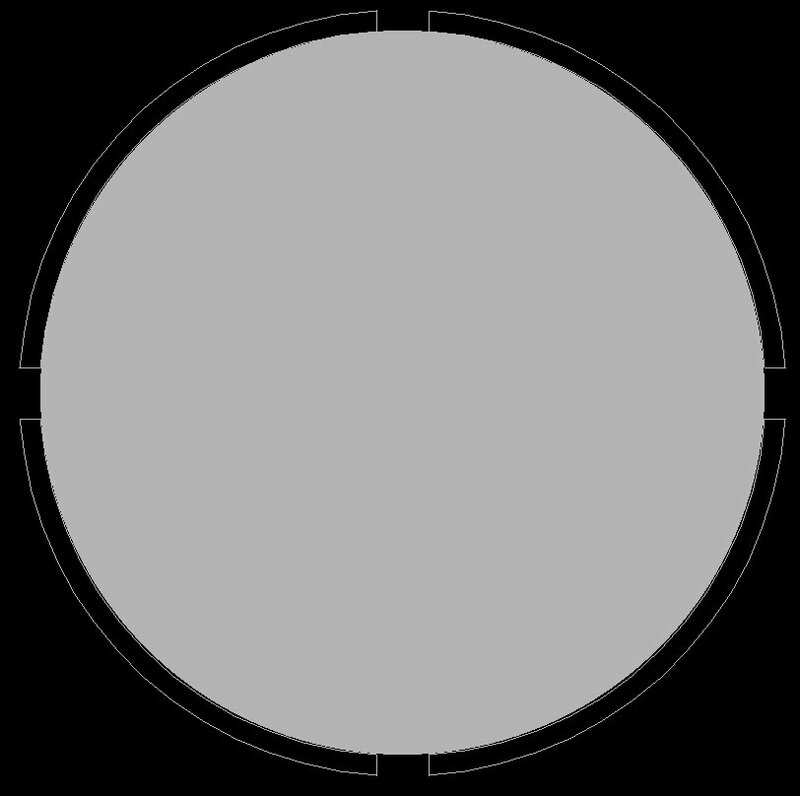 Although this does not necessarily have to be perfectly round, it does not cost anything to make the correction. 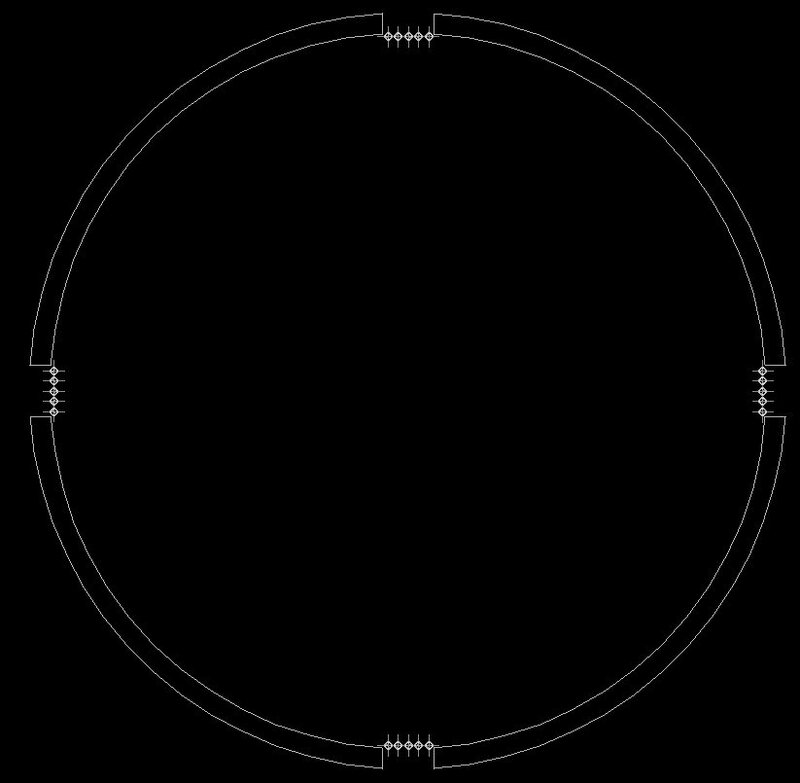 8.- Now I can delete the reference circle that I put at the beginning. I add the holes to make the mouse bites, five holes of 0.5mm diameter, separated 1mm from each other, and at a distance of 0.25mm from the edge of the plate. Following the instructions I found online. 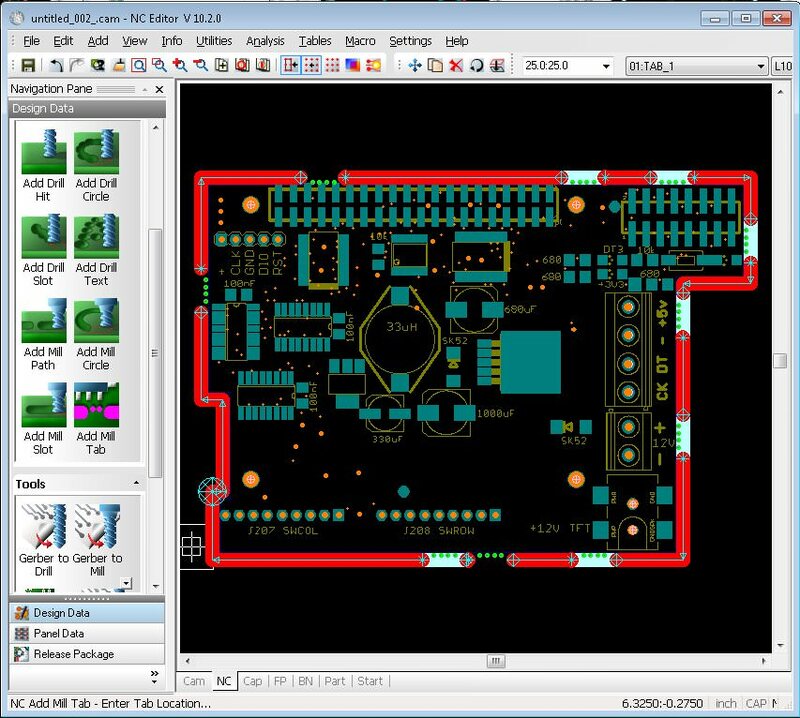 9.- Finally, I create a rectangular panel, I copy and paste the PCB twice, I add fiducials and four 4.2mm holes in the corners that will serve to apply the stencil without having to align with the PCB using a methacrylate plate with four round 4mm bolts. Re: Panelize a round PCB with mouse bites. The reason the 90 degree arc doesn't fit is that you after removing the 5mm wide sections, you no longer have a full quadrant. Not sure what software you are using (Edit: it looks like Eagle), but I would just draw 4 x 83 degree arcs with radius of 72mm, and set them to 2mm wide slots on the milling layer. 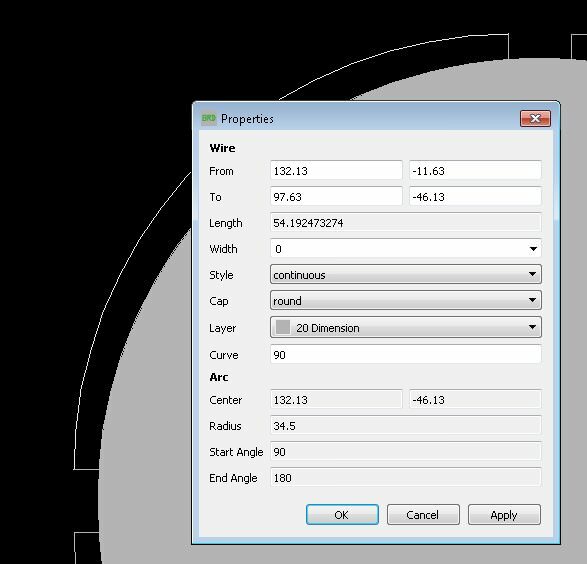 In Eagle, the ARC command doesn't allow defining centre and radius. I've found the best way is to define the arcs via polar coordinates. 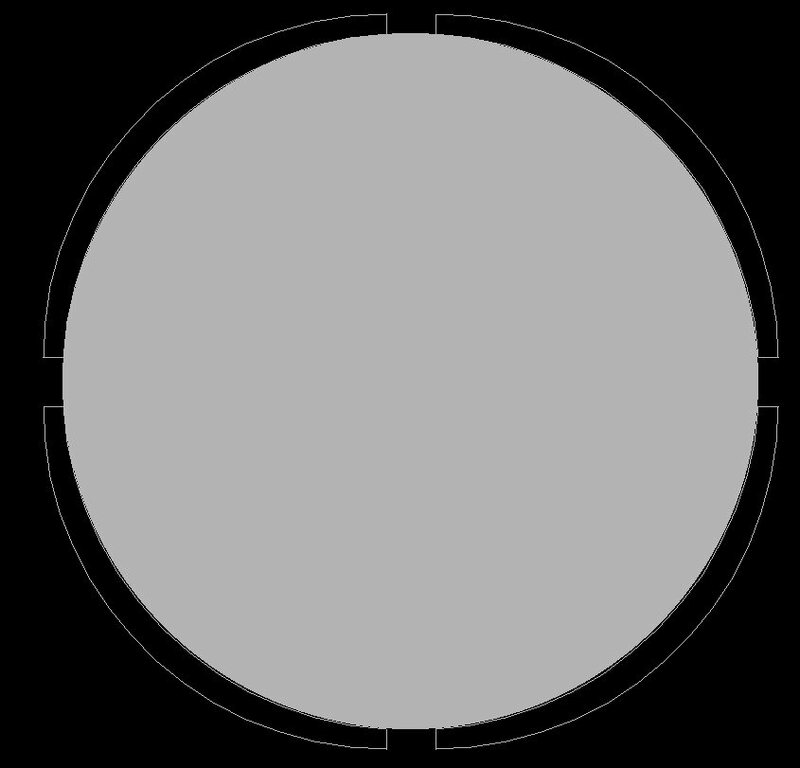 Note how the second polar coordinate is 180 degrees from the first, thus defining the radius and centre. The mark command sets the reference point for the polar coordinates. See screen shot attached of what this produces. , but I would just draw 4 x 83 degree arcs with radius of 72mm, and set them to 2mm wide slots on the milling layer. This has always been my big question, which I still have not resolved. 1.- Make the four arches with a line thickness of 2mm, as you have done. 2.- Do it as I have done, four arcs with lines of thickness 0mm, joined to other four concentric arcs also of 0mm of thickness, separated 2mm between each group of 4 arcs. They are two concentric circles, separated 2mm, with four cuts to put the lashes with the mouse bites. 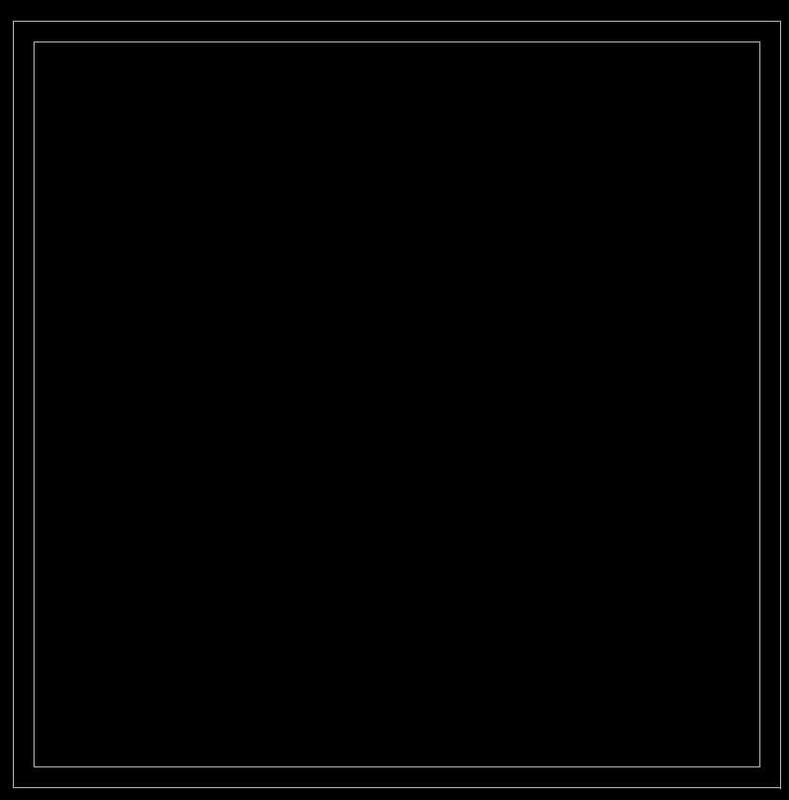 I have seen, for example, paneling of rectangular boards, which make them as I have done them, with lines of thickness 0mm in the Dimension layer. For example this panelization that is seen in the following image. And another difference that I see between the paneling that I have done for my round PCBs, and this one that I have put in the photo above, is the completion of the grooves. In mine, the grooves end up straight, and in the others the grooves end up curved. It does not seem important to me, because when separating the plates, the mouse bits remain the same. I do not know if at the time of manufacturing them, that finish of the groove can affect. I do not know if it is important the number of holes in the mouse bites and the width of the tab. I have put 5 holes, but I have seen them with 3 holes and 5 holes. You can do it either way - the milling of slots may make sense when you have a large panel with a few smaller PCBs inserted into that panel outline for later break out. I've used that method for round boards before. The addition of tooling strips as in the picture you posted makes sense for a rectangular (or close to rectangular) PCB, and I'll generally use this method for rectangular PCBs unless they are quite small. 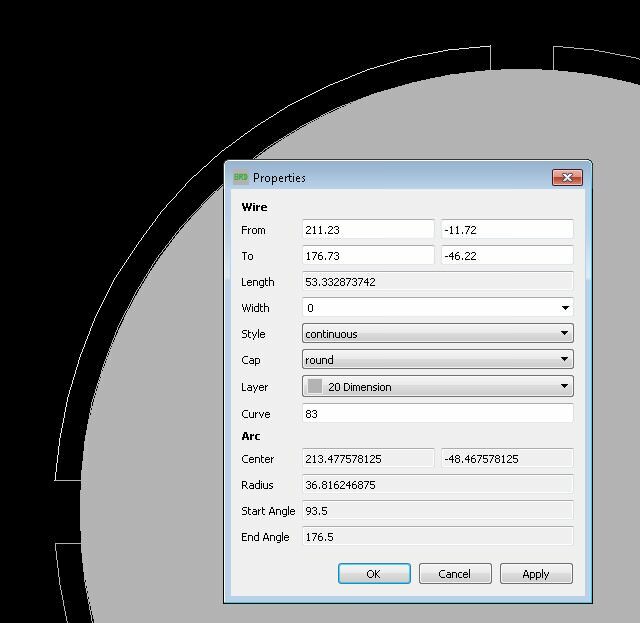 Slots can be drawn in the dimension layer, or milling layer - just make sure the final CAM files include them in the way required by the board house. Any slots or "internal" cuts outs will always be terminated with rounded edges the diameter of the routing bit. A 2mm tool seems common, so you will end up with a 1mm radius. If you need close to a square cut, you might specifically request the PCB manufacturer to use a smaller tool for a cut-out, but that may cost extra. Smaller tools wear out quicker and break more easily, so increase the cost (same as drills). 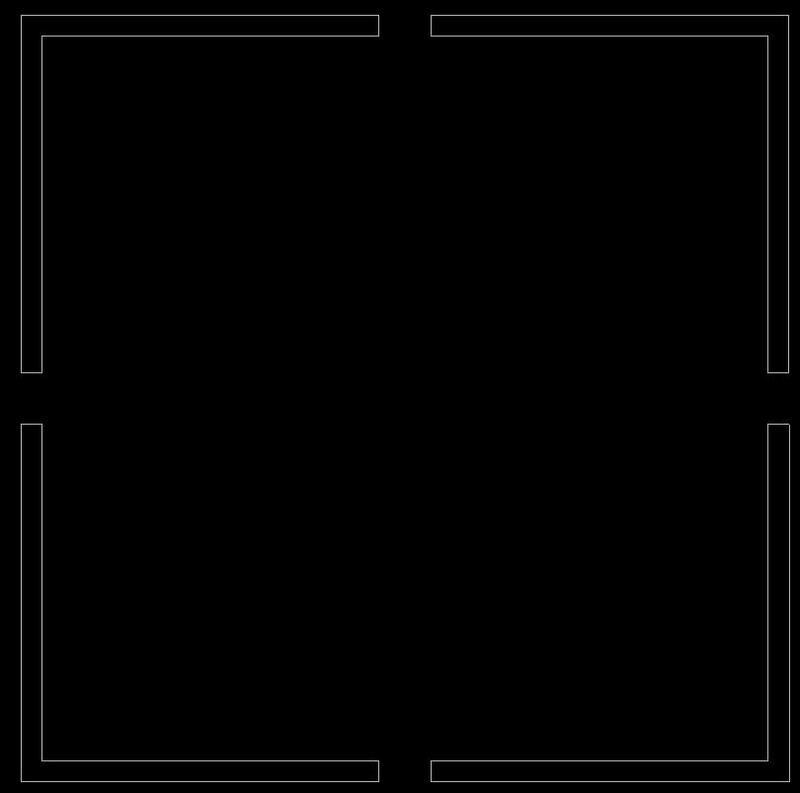 Drawing the slot in CAD with square ends will not guarantee any particular finish, and may actually cause a delay in manufacture. Another option to use if the square edge is required for a mechanical fit, is to do an "dogbone" or "corner overcut". The number, spacing, and size of the holes in a mouse bite are not really standard. Different designers will use different setups, and often for good reason. 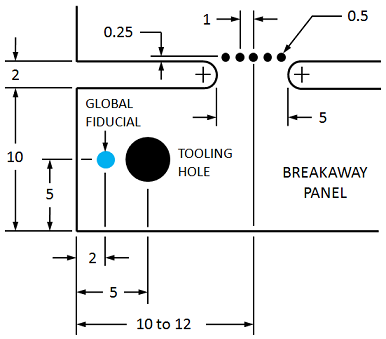 These parameters will affect how easy it is to depanel the individual PCB, and the finish of that edge after depanelling. Too small a tab, and certain other choices, can end up making PCBs that break apart too easily during handling - especially on a larger/heavier panel. Larger spacing of the holes may make it harder to depanel by hand, but it can be useful way to route temporary test signals off the PCB onto test pads on the tooling strip. With rectangular PCBs on a panel, another option is to use V-grooves instead of the mouse bites. It can be cheaper, but generally you need longer tabs to get the same strengths - but easier to separate after assembly. You can't route test signals across V-grooves though, and the V-grooves must go the full length of the panel. 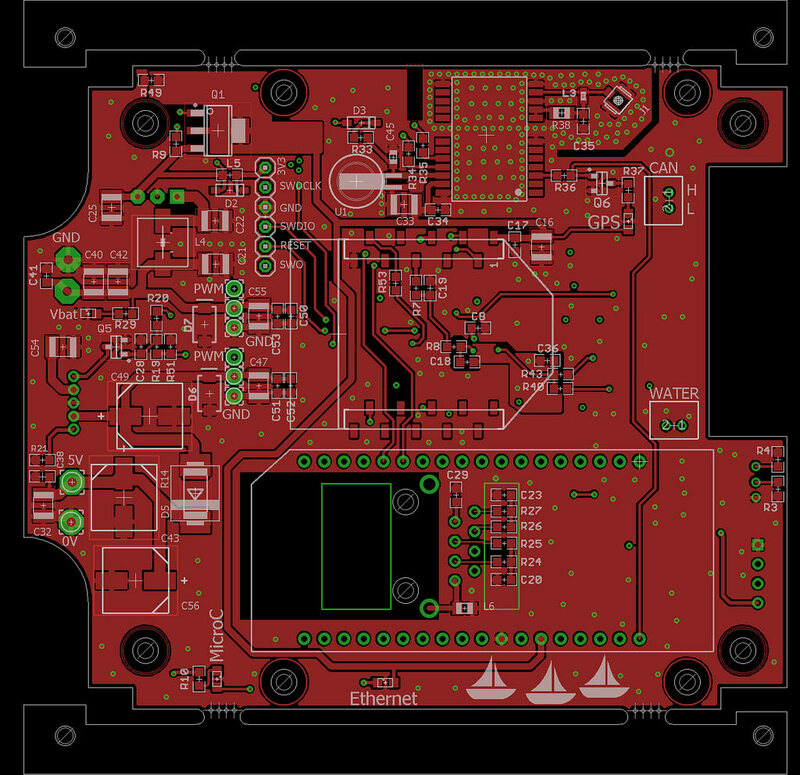 In the end the choices around routing, mouse bites, V-grooves, etc are very specific to each PCB. Mechanical concerns, easy of assembly, and PCB material cost are usually the factors you need to weigh up. How are the four arcs calculated? For example, to make a circumference of 72 mm in diameter (not radius), with cuts of 4 mm wide at 0, 90, 180 and 270 degrees, where the lashes will go with mouse bites. I begin to understand that the correct and more simple way is to use slots defined at a width of 2mm, which will be the thickness of the milling tool. I usually define my breakaway tabs by angle and radius to begin with, rather than arbitrary rectangular coordinates. 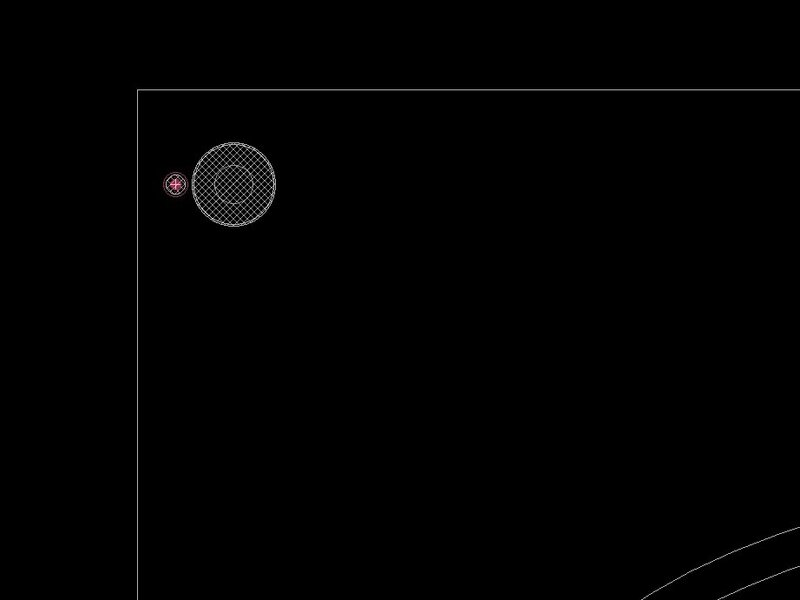 Then, I create a free-angle line between those polar coordinates using the command line. 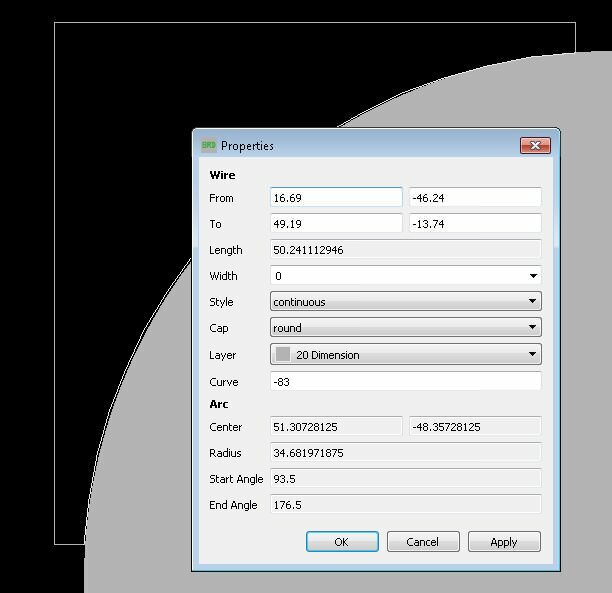 Subtract the angles of those two polar coordinate, and type the result into the Curve input box (since you can only type in an angle, not a radius directly). All the intricacies of drawing the arcs in Eagle aside -- how do you intend to break out the individual circuit boards from your panel? 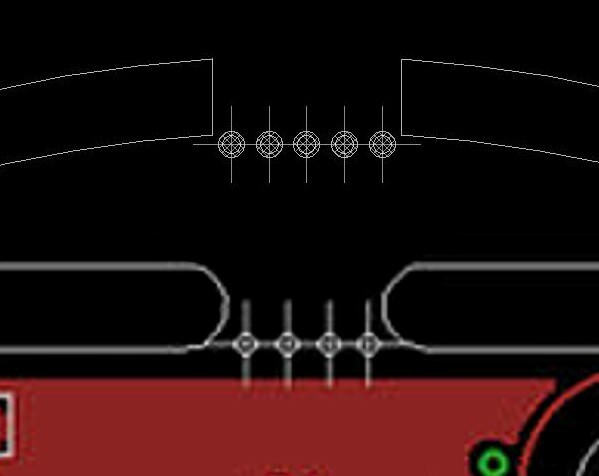 With the four sets of mouse-bite joints all around the circular PCB, you will not be able to bend and break it away. It does make it tougher. Sometimes this is done with a final separation router pass after assembly (I do this with another intricate design that requires mechanical accuracy and smooth edges). For my purely circular boards I convinced my PCBA to spec two slightly larger mousebite tabs instead of four; it has proven to be stable enough and they can break it out by rotating the PCB out of plane. With a small cutting pliers. Usually, PCBs paneled with mouse bites are depanelized with small cutting pliers. If four tabs are excessive, then this paneling with 8 tabs that made me, some time ago, a PCB manufacturer, is terrible. For this reason and some more, I always prefer to do everything by myself, so I have exactly what I want and not what the manufacturer wants. 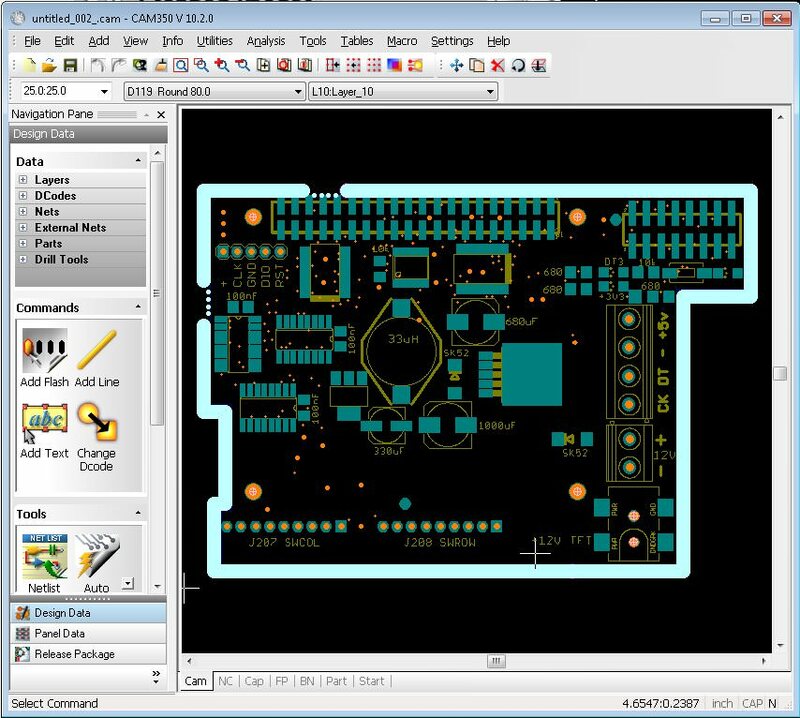 I am currently testing CAM350 software to make panelized PCBs, and it seems simple and very good tool.